With over 20 Energy providers listed on Power Compare we have loads of fantastic Energy deals from a number of energy providers. Compare all the best Energy deals for free at Power Compare. 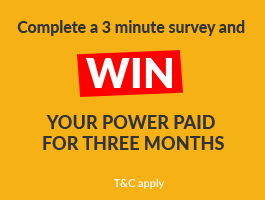 It only takes 30 seconds to check - Simply enter your address and we will query the Power Compare database and return the best Energy deals available at your property. Looking for a cheap energy plan? Power Compare lets you compare the cheapest Energy providers with everyone else to make sure you get the best Energy plan for your needs. Get the best Energy plan at your property. Check the availability for free at Power Compare to find the best energy provider. Then, compare Energy providers to find the best Energy provider for your address. Compare Providers and Energy Plans to find the best Energy provider for your needs. Simply enter your address above and we will query the Power Compare database and return all the Energy options available at your property. Looking for Auckland Energy Companies? Looking for Cheap Energy in Auckland? Looking for Energy Deal Auckland? Looking for Auckland Cheapest Energy? Looking for Auckland Energy Plans? Looking for Christchurch Energy Companies? Looking for Cheap Energy in Christchurch? Looking for Energy Deal Christchurch? Looking for Christchurch Cheapest Energy? Looking for Christchurch Energy Plans? Looking for Wellington Energy Companies? Looking for Cheap Energy in Wellington? Looking for Energy Deal Wellington? Looking for Wellington Cheapest Energy? Looking for Wellington Energy Plans? Looking for Nelson Energy Companies? Looking for Cheap Energy in Nelson? Looking for Energy Deal Nelson? Looking for Nelson Cheapest Energy? Looking for Nelson Energy Plans? Looking for Dunedin Energy Companies? Looking for Cheap Energy in Dunedin? Looking for Energy Deal Dunedin? Looking for Dunedin Cheapest Energy? Looking for Dunedin Energy Plans? Looking for Hawkes Bay Energy Companies? Looking for Cheap Energy in Hawkes Bay? Looking for Energy Deal Hawkes Bay? Looking for Hawkes Bay Cheapest Energy? Looking for Hawkes Bay Energy Plans? Looking for Palmerston North Energy Companies? Looking for Cheap Energy in Palmerston North? Looking for Energy Deal Palmerston North? Looking for Palmerston North Cheapest Energy? Looking for Palmerston North Energy Plans? Looking for Gisborne Energy Companies? Looking for Cheap Energy in Gisborne? Looking for Energy Deal Gisborne? Looking for Gisborne Cheapest Energy? Looking for Gisborne Energy Plans? Looking for Hamilton Energy Companies? Looking for Cheap Energy in Hamilton? Looking for Energy Deal Hamilton? Looking for Hamilton Cheapest Energy? Looking for Hamilton Energy Plans? Looking for Invercargill Energy Companies? Looking for Cheap Energy in Invercargill? Looking for Energy Deal Invercargill? Looking for Invercargill Cheapest Energy? Looking for Invercargill Energy Plans? Looking for Tauranga Energy Companies? Looking for Cheap Energy in Tauranga? Looking for Energy Deal Tauranga? Looking for Tauranga Cheapest Energy? Looking for Tauranga Energy Plans? Looking for New Plymouth Energy Companies? Looking for Cheap Energy in New Plymouth? Looking for Energy Deal New Plymouth? Looking for New Plymouth Cheapest Energy? Looking for New Plymouth Energy Plans? Looking for Rotorua Energy Companies? Looking for Cheap Energy in Rotorua? Looking for Energy Deal Rotorua? Looking for Rotorua Cheapest Energy? Looking for Rotorua Energy Plans? Looking for Northland Energy Companies? Looking for Cheap Energy in Northland? Looking for Energy Deal Northland? Looking for Northland Cheapest Energy? Looking for Northland Energy Plans? Looking for Taranaki Energy Companies? Looking for Cheap Energy in Taranaki? Looking for Energy Deal Taranaki? Looking for Taranaki Cheapest Energy? Looking for Taranaki Energy Plans? Looking for Cheap Energy in Taupo? Looking for Energy Deal Taupo? Looking for Taupo Cheapest Energy? Looking for Taupo Energy Plans? Looking for Cheap Energy in Waikato? Looking for Energy Deal Waikato? Looking for Waikato Cheapest Energy? Looking for Waikato Energy Plans?